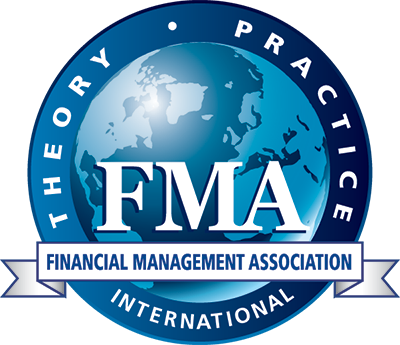 FMA provides resources to expand your knowledge, enhance your research, teaching and publishing and promote the understanding of basic and applied research and of sound financial practices. FMA's curated content and searchable archives includes decades of content addressing virtually every facet of finance – from asset pricing to governance to financial distress to firm performance and regulation – in Financial Management, Journal of Applied Finance, videos, presentations and interviews with pioneers of the profession. In this keynote address, Scholes explores not only his current research, but hypothesizes on the three things responsible for the current economic crisis. "Corporate Governance, Corporate Ownership, and the Role of Institutional Investors: A Global Perspective"
Stuart Gillan and Laura Starks examine the relation between corporate governance and ownership structure by discussing the theoretical basis for, history of, and empirical evidence on institutional investor involvement in shareholder monitoring. "Are Good Performers Bad Acquirers?" H. Kent Baker, Shantanu Dutta, Samir Saadi, and PengCheng Zhu examine how the market reacts to announcements of mergers and acquisitions (M&As) by well-performing acquirers and evaluate the results in light of three hypotheses: 1.) managerial ability, 2.) empire building, and 3.) chief executive officer (CEO) overconfidence. "Teaching the Introductory Finance Course: What Can We Learn from Student Perceptions and Expectations?" "Professor, Student, and Course Attributes that Contribute to Successful Teaching Evaluations"
"Finance Faculty Demographics, Career History, Diversity, and Job Satisfaction"
"Where to Look: Comparing Research Records for Tenure and Promotion"
Innovation in Teaching Award - New! The Innovation in Teaching Award is designed to recognize inspiring educators, enhance the quality and relevance of education in finance, disseminate successful innovative practices, and elevate teaching as a craft to the next level. 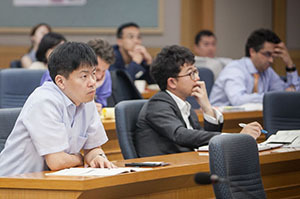 This competition is open to any educator who teaches undergraduate or graduate students in finance. Applications open now! Click here to learn more.